They reunited onstage at Coachella the Saturday before last. 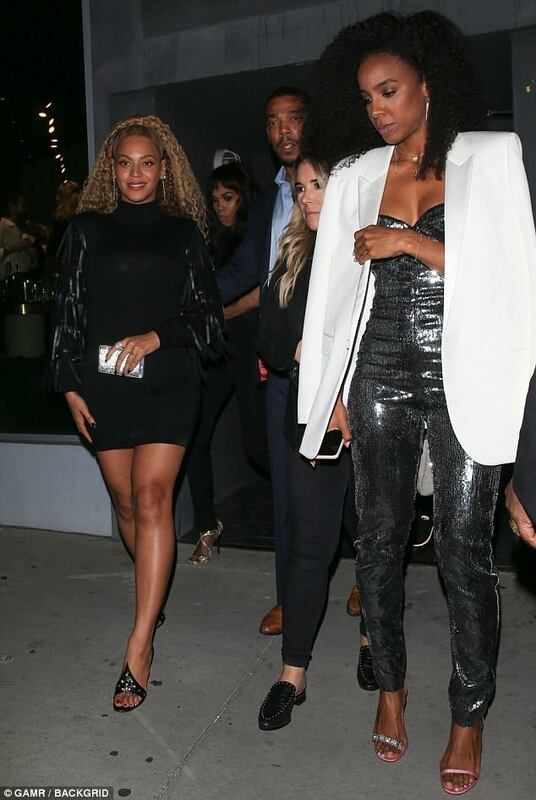 And it appears that Beyonce and Kelly Rowland, former co-members of the girl group Destiny's Child, cannot get enough of each other's company. 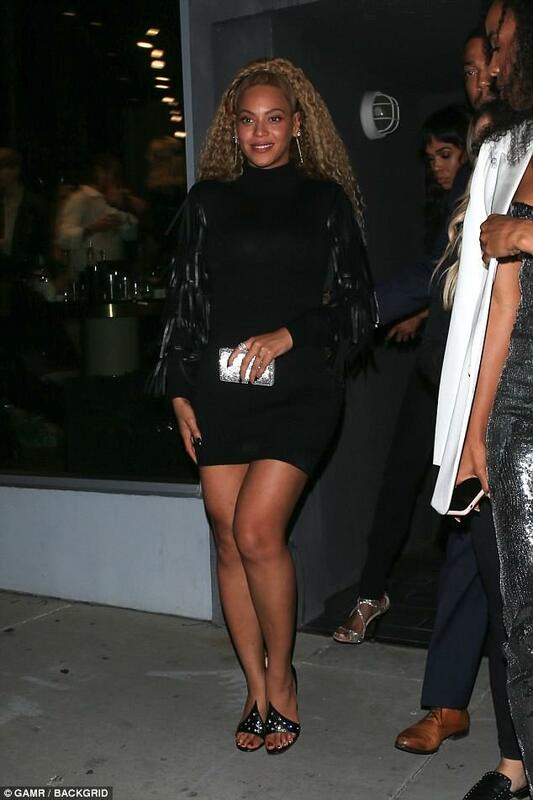 Beyonce, 36, slid her famous curves into a skintight black cocktail dress as she and Kelly swung by the Dundas brand opening in West Hollywood on Tuesday. 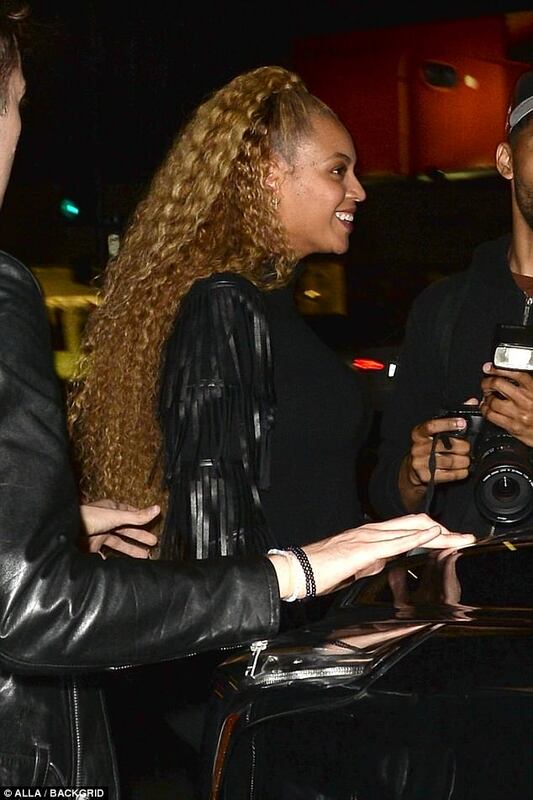 Slicking her hair back at the front and letting it fan out behind her head, Beyonce added a touch of sparkle with a pair of drop earrings. The Lemonade icon held a glistening purse, matching her full-sleeved half-turtlenecked dress to her black-painted fingernails. 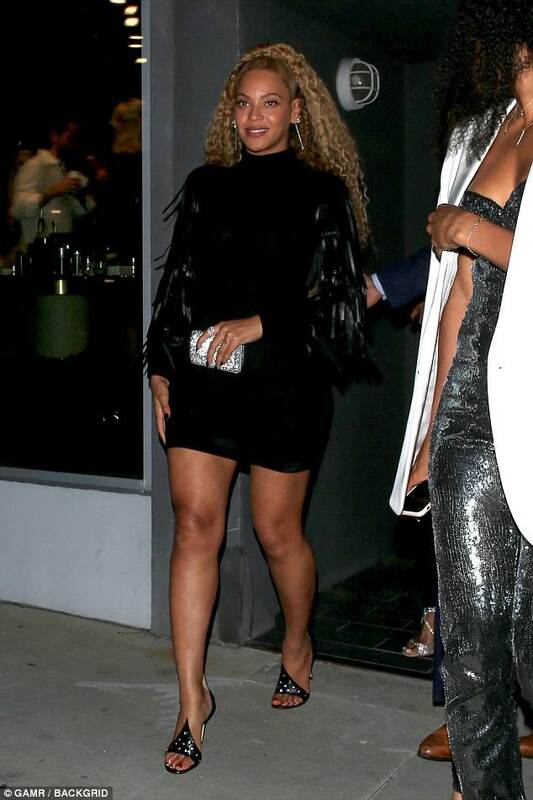 Her dress allowed the sister of Solange to show off her legs, which she heightened by balancing on a pair of open-toed stilettos. The full-sleeved number featured glinting fringe running down each of her arms, and she accentuated her supermodel features with makeup. Meanwhile, Kelly slid herself into a cleavage-baring silver sequined jumpsuit, flinging a pristine white blazer casually over her shoulders. A claque of other celebrities posed for the cameras inside the Dundas event on Tuesday, including supermodel extraordinaire Heidi Klum. Heidi slipped on a sheer black full-sleeved dress that was speckled with mirror-work and featured a plunging V-neck that offered a glimpse of cleavage. She got in a bit of posing whilst flanked by Evangelo Bousis and Peter Dundas - co-founders of the brand being celebrated that evening. Charlotte McKinney, a Sports Illustrated Swimsuit Issue model who is also trying her hand at an acting career, was seen at the bash as well. She threw on a Dundas T-shirt with a leaping panther icon, and tucked it into a pair of high-waisted charcoal shorts that showcased her supermodel legs. The Baywatch actress let her wavy blonde hair down and cinched a massive belt tightly around her waistline, playing up her enviably trim torso. Alessandra Ambrosio, who recently retired as a Victoria's Secret Angel, slid into a caftan-like little number hemmed at mid-thigh. The Brazilian bombshell teetered on sky-high stilettos, which complemented her intricately patterned dull gold and black dress. She strung on a couple of necklaces, including a dazzling medallion, and let a massive tassel dangle out the bottom of her V-neck. Beyonce delivered an electrifying headlining performance on the first Saturday of the Coachella music festival, complete with guest-stars. 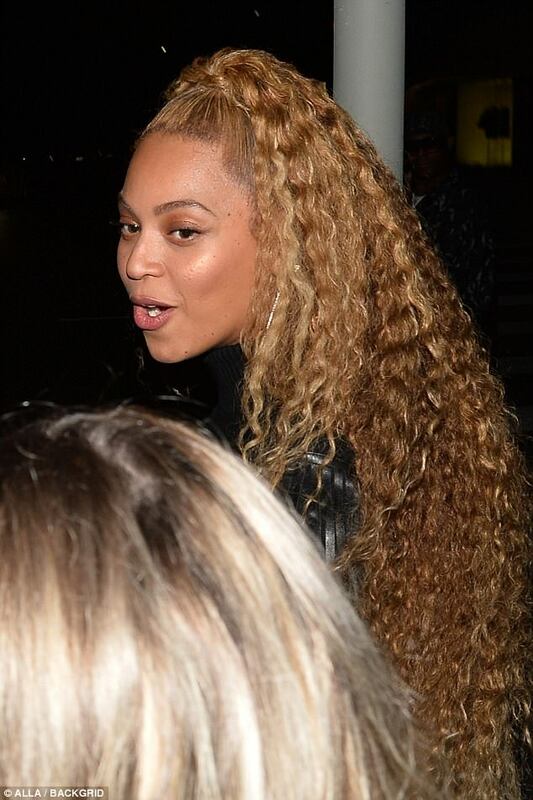 Not only did Kelly and Michelle Williams hit the stage for a Destiny's Child reunion, but Beyonce's husband Jay-Z made his way up there as well. Jay-Z, whom Beyonce appeared to accuse of adultery on Lemonade, has three children by her - Blue Ivy, six, and twins Sir and Rumi, 10 months. Beyonce returned to the stage this past Saturday during the second weekend of Coachella, and her performance was once again a family affair. That time, she welcomed her sister Solange onto the stage - and the pair warmed hearts when they helped each other up after falling down.